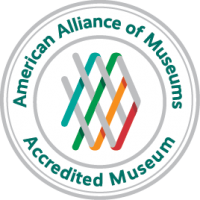 The Museum of Fine Arts’ Blake Court, a grand gallery with a second floor colonnade, is home to one of the country’s most celebrated works in American art, The Historical Monument of the American Republic by Erastus Salisbury Field. 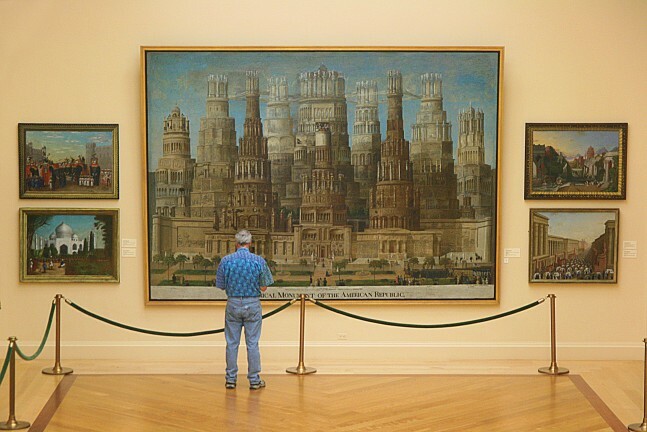 Field worked on the large painting (approximately 9 x 13 feet), which charts the early history of the United States through a series of architectural towers, for more than 20 years from 1867-1888. Additional works by Erastus Salisbury Field and other 19th-century American paintings are also on display in this gallery, including canvases by Hudson River School artists such as Frederic Church, Albert Bierstadt and Alfred Bricher, and still-life paintings by such artists as Severin Roesen and Springfield, Massachusetts artist J.J. LaValley.